We’re Uniqlo fanboys around here, with their undershirts winning our reader vote and their Heattech getting the Indefinitely Wild nod, to name a few accolades. 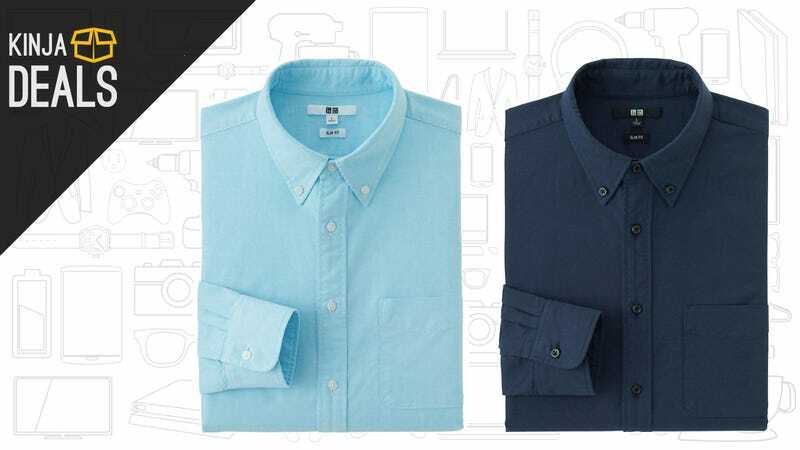 Today you can grab two men’s casual or dress shirts for $49.90 a pair. The same promotion applies to women’s shirts. If you really want to stock up, promo code CR25OFF takes $25 off a cart of $200+, plus free shipping on $100+. I own their men’s slim oxford in several colors, and it’s easily one of the best values in men’s everyday work wear. There’s also a $10 off promotion when you grab two select pairs of pants, and of course the sale section that the $25 off $200 code and free shipping threshold apply to. Let us know what you’re adding to your wardrobe in the comments.